If you're thinking about leasing a new Dodge vehicle in Cooperstown, North Dakota, you'll find a number of excellent car lease opportunities at V-W Motors Inc. Before committing to a car lease, however, it's a good idea to consider whether or not an auto lease is the best fit for you and your lifestyle. While an auto lease works best if you prefer a lower down payment and lower monthly auto payments, and want the option to trade in your car for a newer model every few years, it doesn't tend to pan out if you drive over 12K miles annually, or if you prefer to own your vehicle after a period of car payments. Whether you want the freedom to drive as many miles as you wish, without having to worry about putting excess wear and tear on your car, or you want to drive the latest Dodge models without the responsibility of owning, you'll find plenty of options to work with at V-W Motors Inc.
At V-W Motors Inc., our new Dodge Charger sedans, Dodge Durango SUVs, and Dodge Grand Caravan vans are the perfect fit for one of our affordable Dodge leases in Cooperstown, ND. 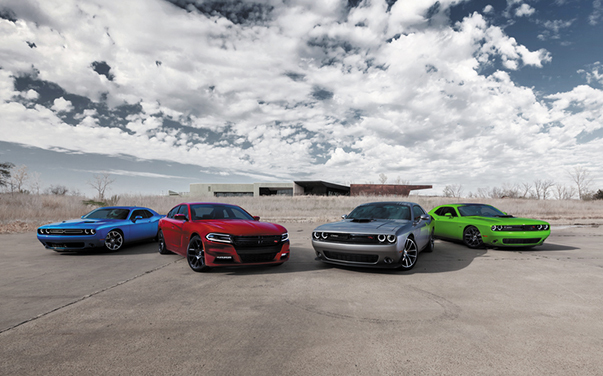 Powerful in performance, presence, and head-turning style, the Dodge family of vehicles doesn't back down. From taking on rough terrain with a bold new Dodge Durango SUV, to taking care of the entire family with a technology-infused Dodge Grand Caravan van, to hitting the open road with precision and speed in a Dodge Charger sedan, each of the new Dodge models for sale at V-W Motors Inc. has its own distinct personality, charisma, and panache. Just like you. Even if one of our top-notch Dodge leases in Cooperstown, ND doesn't feel like the right fit for you, you'll find a wide variety of other Dodge financing options available at V-W Motors Inc. When you connect with the auto finance experts in our finance center, you'll discover customizable Dodge financing solutions and premium auto loan rates, as well as ways to trade in your car and get the top trade-in value you deserve. Excited to learn more about our one-of-a-kind Dodge lease opportunities? Get in contact with our team of car financing professionals today.